In the face of a crisis that sweeps an entire high-tech planet back to the age before electricity, the Brannings face a choice. Will they hoard their possessions to survive---or trust God to provide as they offer their resources to others? 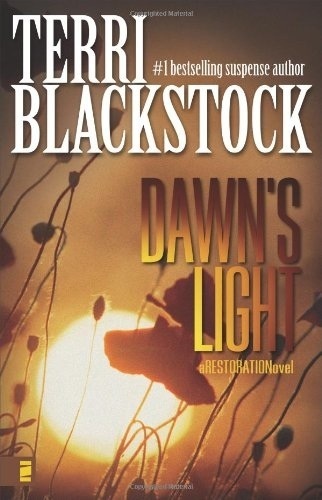 #1 bestselling suspense author Terri Blackstock weaves a masterful what-if series in which global catastrophe reveals the darkness in human hearts---and lights the way to restoration for a self-centered world. As the Pulses that caused the outage are finally coming to an end, thirteen-year-old Beth Branning witnesses a murder. Threatened by the killer, she keeps the matter to herself. But her silence could cost her life. Meanwhile, as Deni's ex-fiance returns to Crockett with a newfound faith and the influence to get things done, Deni is torn between the man who can fulfill all her dreams and Mark Green, the man who inhabits them. As the world slowly emerges from the crisis, the Brannings face their toughest crisis yet. Will God require more of them than they've already given? How will they keep their faith if he doesn't answer their prayers?